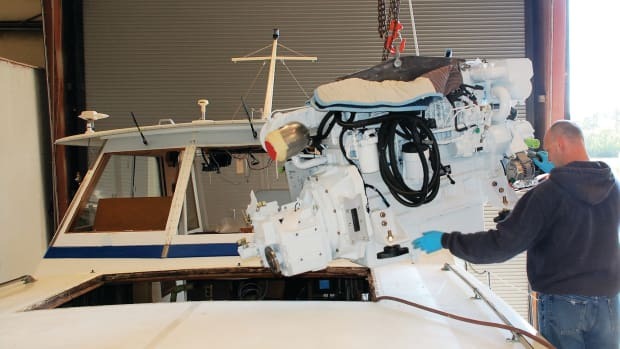 Hyundai has a long history of building marine engines for the Pacific Rim and Europe, and has recently introduced their marine line of Seasall engines to the United States. 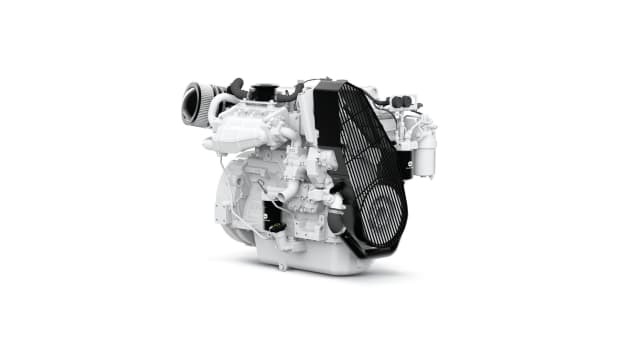 This new engine is designed to meet not just Tier III EPA requirements but future Tier IV requirements as well. 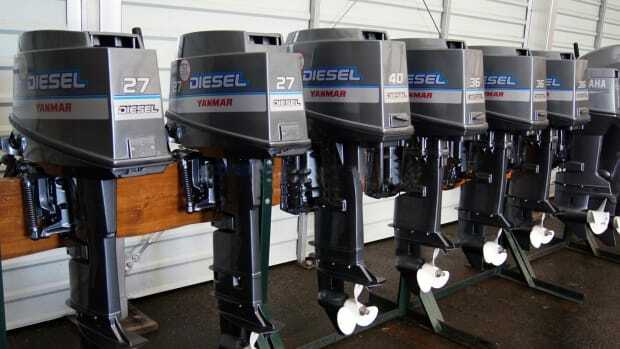 And this isn’t your typical marinized engine. 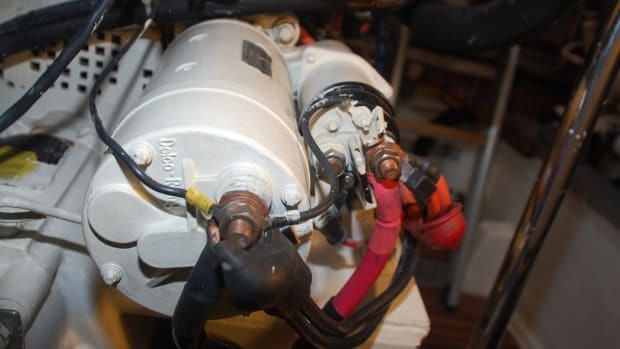 Sure, it is built on the Hyundai graphite-infused block and pistons from their automotive line, and also uses a common-rail fuel injection system, but from there on this engine is designed specifically for the marine market. And it shows. 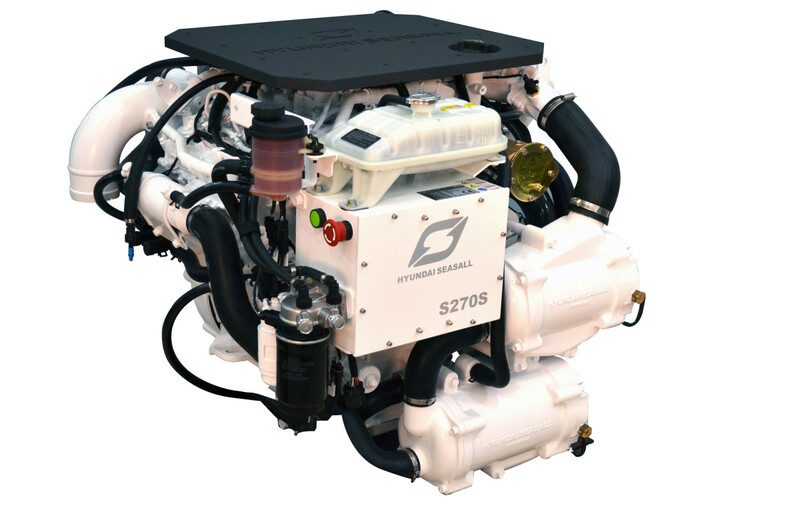 This engine runs smoothly and quietly, even at idle where it burns less than a gallon an hour. 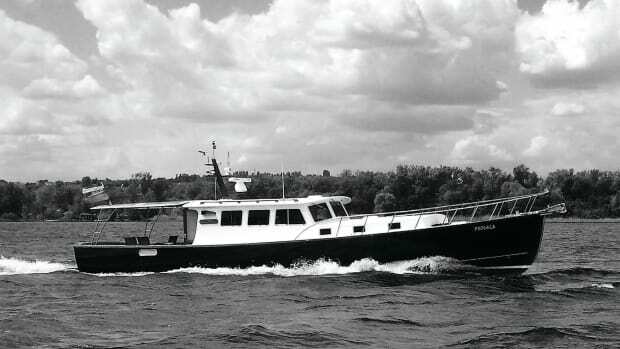 The graphite-infused block and pistons are designed to deliver a long life for the engine, which has been proved in heavy commercial use, like in Venice’s vaporetti as well as in military patrol boats. 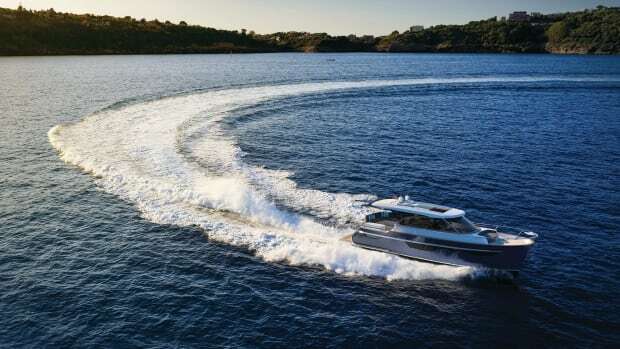 The engine’s wide commercial use has allowed Hyundai to maximize ease of use, something every boater who’s ever done an oil change will appreciate. 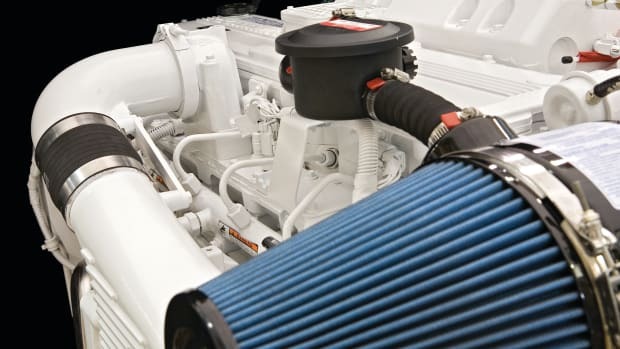 This Seasall has a built-in oil extraction pump, with an easy to locate drain hose, mounted conveniently on the engine’s front. In addition, the dry oil filter is located on top of the engine, allowing easy access to change the element. The Seasall also features an oversize cooling system. The housing for the impeller is on the front of the engine, totally exposed, making swapping out a worn impeller an easy task. Hyundai designed this engine not just for new builds but to serve as a replacement for older gas and diesel motors. It is compact and has engine mounts that fit within the footprint of many older engines, making retrofit installations a breeze. The electronically controlled Hyundai Seasall 270 puts out 435 pound-feet of torque at 3,800 rpm and interfaces with a smart phone or tablet, providing engine data, diagnostic functions, alarms, and visual pop-ups. Hyundai plans to introduce a 300-horsepower model in the near future, hoping to gain a foothold in the U.S. market.